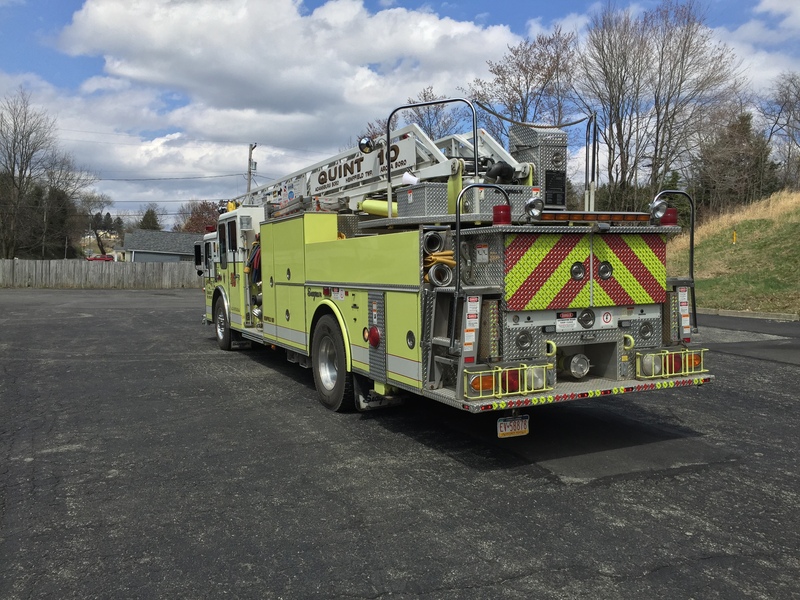 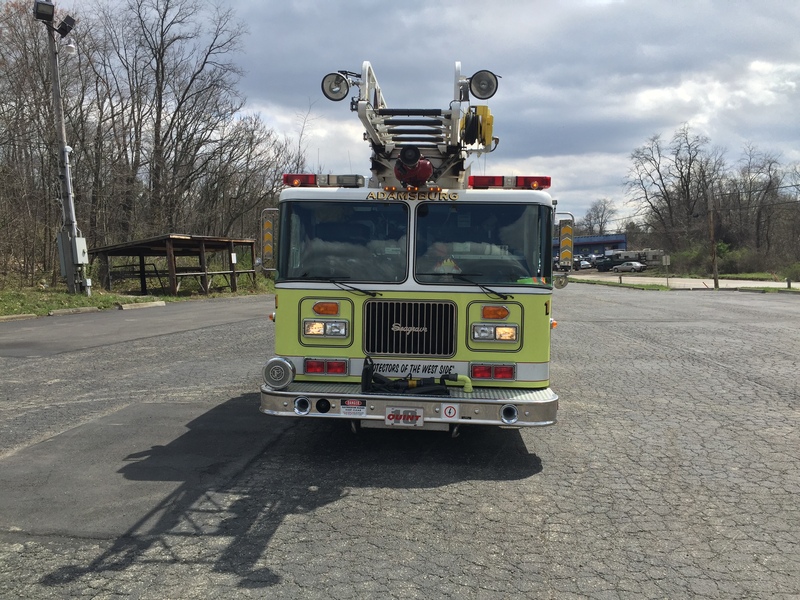 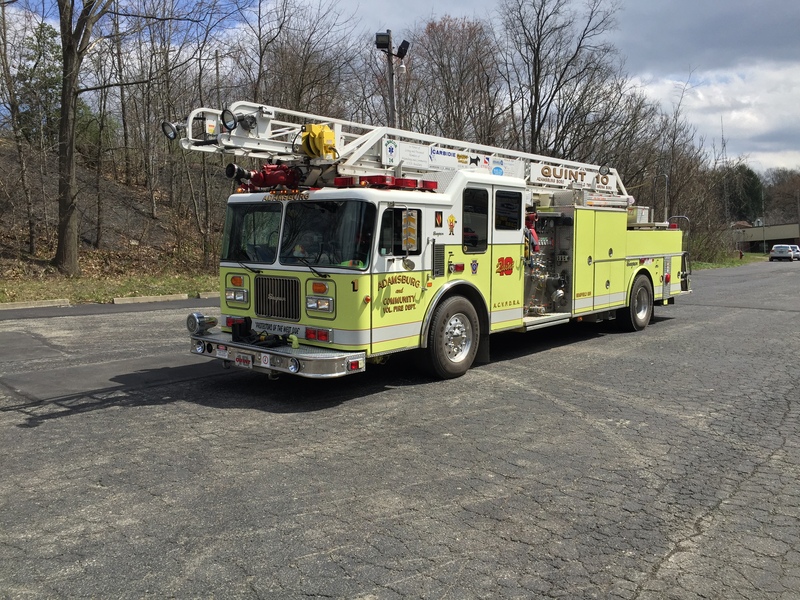 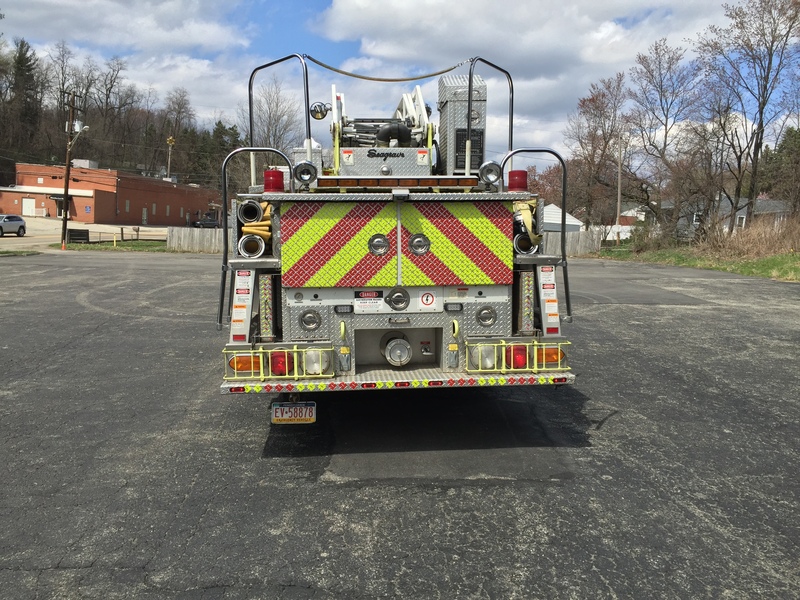 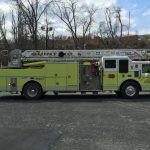 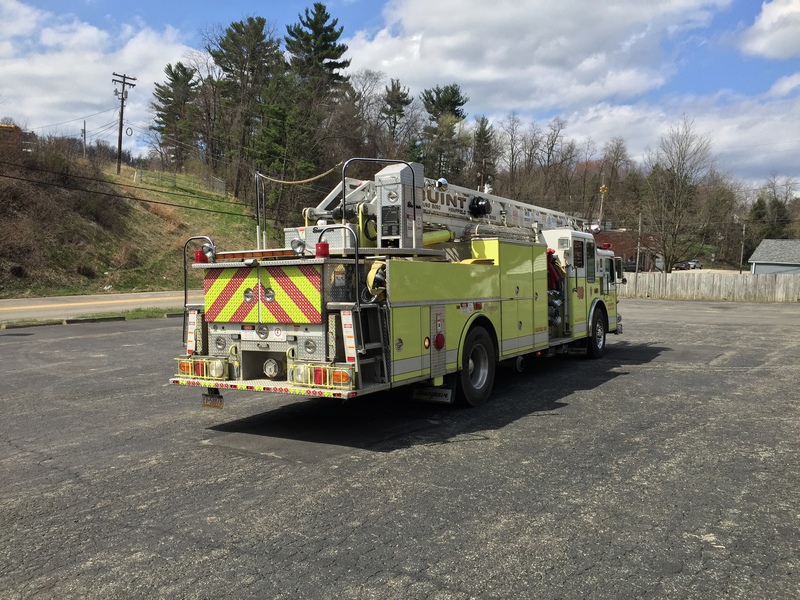 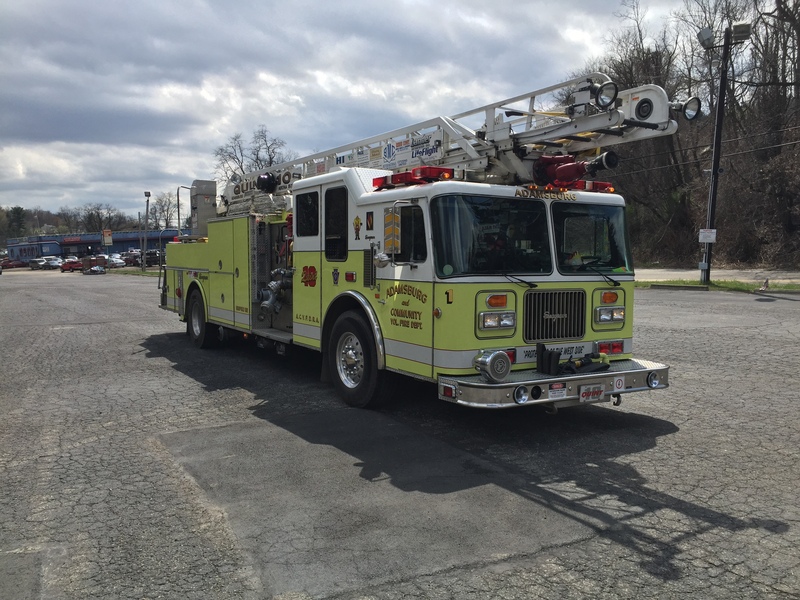 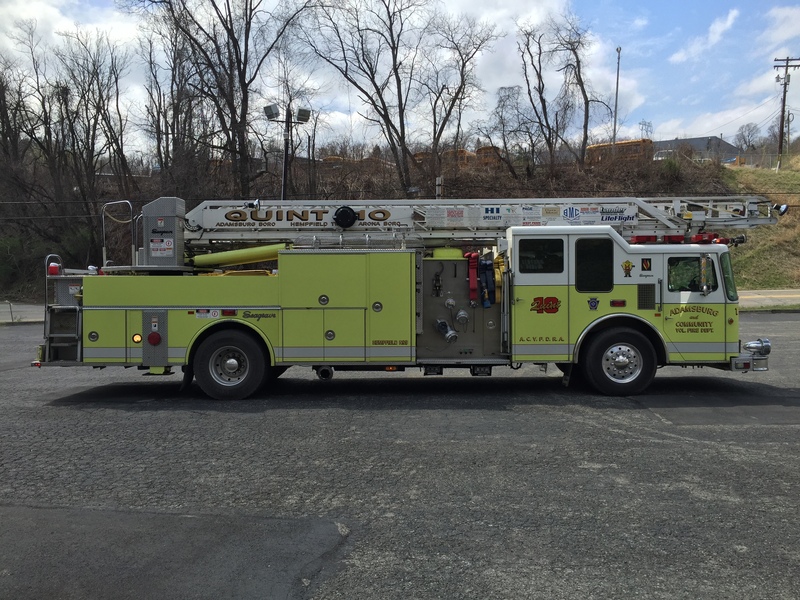 Quint 10 which is a 1996 Seagrave with a 75’ ladder equipped with a 500 GPM waterway and a 300 gallon tank. 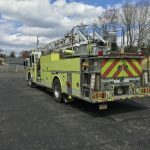 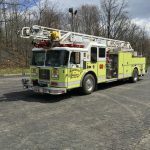 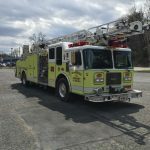 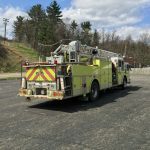 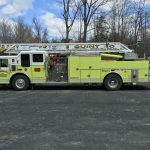 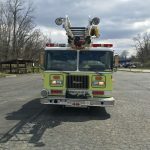 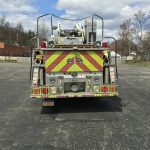 It is equipped with a 1,500 GPM pump, 900 feet of 5 inch large diameter hose, 140 feet of ground ladders, a 10 kilowatt generator, PPV fan, Self Contained Breathing Apparatus, and a Bullard Thermal Imaging Camera. 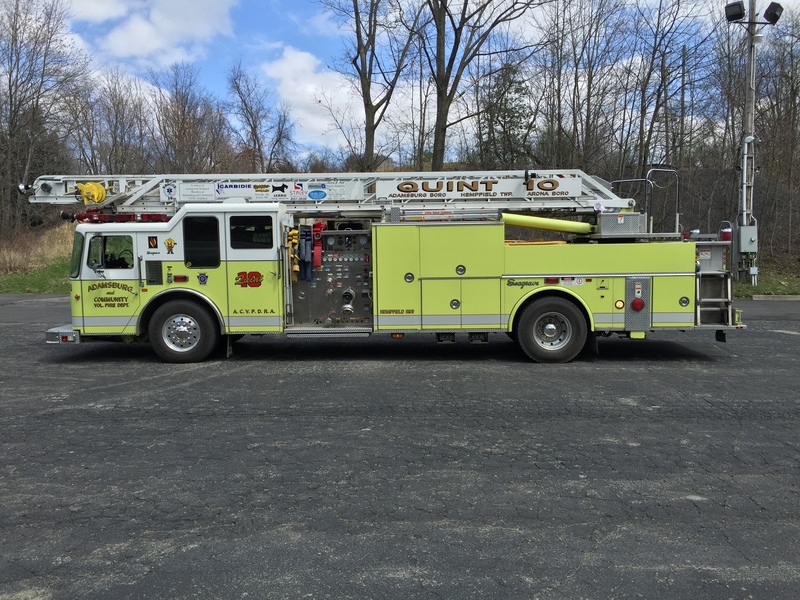 Quint 10 enables ACVFD to effectively fight fire like a fire engine and have a 75’ ladder like a ladder truck all in one piece of apparatus.